Rinse the tooth gently under water. Then, place it in the socket it fell from and hold it in place until you can get to the office. If this isn’t possible, place it in a plastic baggie of milk and bring it in, where we’ll determine whether reattachment is a viable option. If you haven’t lost it, then dry your natural tooth, apply a small amount of toothpaste to the crown, and reattach it. Please call our office so that we can reattach it more effectively as soon as possible. 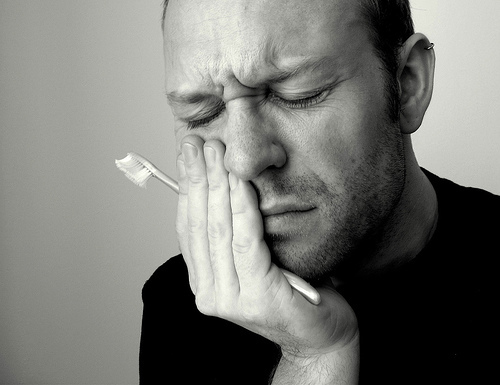 Rinse the tooth with warm water immediately then hold a cold compress against it. This should reduce the swelling until you can get to the office. Rinse your mouth as exhaustively as possible, then floss around the tooth to make sure that debris aren’t causing the problem. If pain persists, call our office at once. You can find more information about other emergencies here. If you experience a dental emergency, don’t panic – Dr. Joe Isaacson and his team will provide you the best care available, no matter the time or cause. Call our office today with any questions you may have, or if you’re ready to schedule an appointment. We serve patients from Oklahoma City, Edmond, Yukon, Piedmont, and Mustang.